Harris Bipods are ultralight and lightning quick. 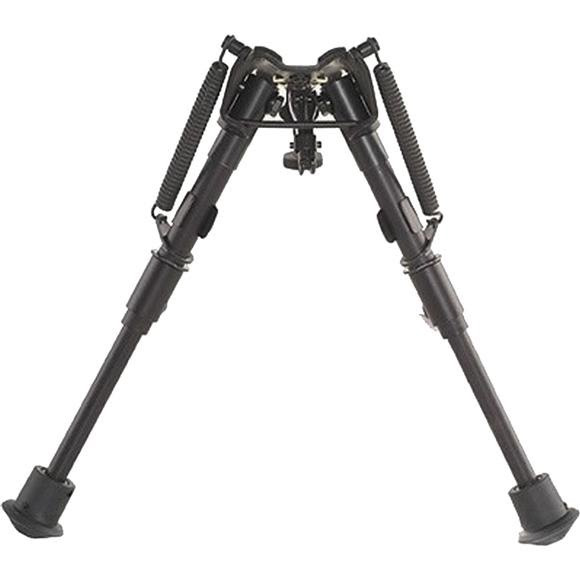 Folding legs have completely adjustable spring-return extensions. The sling swivel attaches to the clamp. Time-proven design and quality manufactured with heat treated steel and hard alloys. Bipods have black anodized finish. The bipods are quick detachable and clamp to the Q. D. stud of bolt-action rifles of conventional stock design.